The purpose of this page is to post news of what has been added, and when. Also, if and when I receive responses from visitors to the site, I'll make mention of anything newsworthy, here. 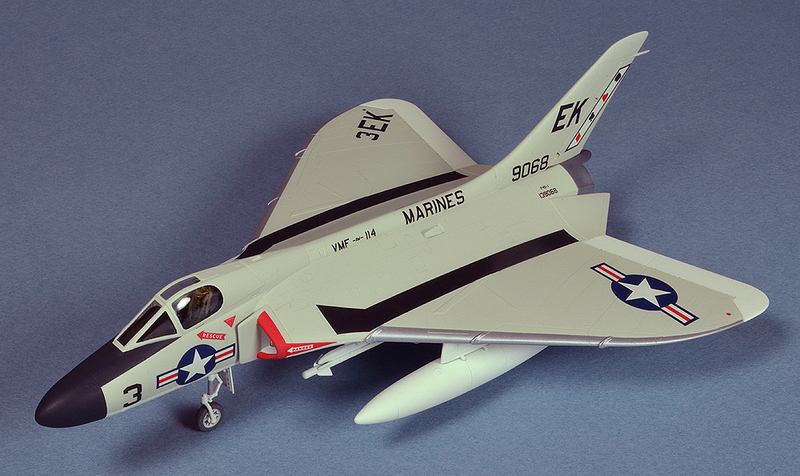 Photographed, Photo-Shopped and posted images of a Tamiya Douglas F4D Skyray to the "Jets 2" tab. Photographed, Photo-Shopped and posted new images of a Modelcollect 280mm ship's turret with scratchbuilt catapult to "SEACRAFT" tab. I have replaced the Heller Arado Ar-196 built 40 years ago with a Sword Arado Ar-196 finished this date. 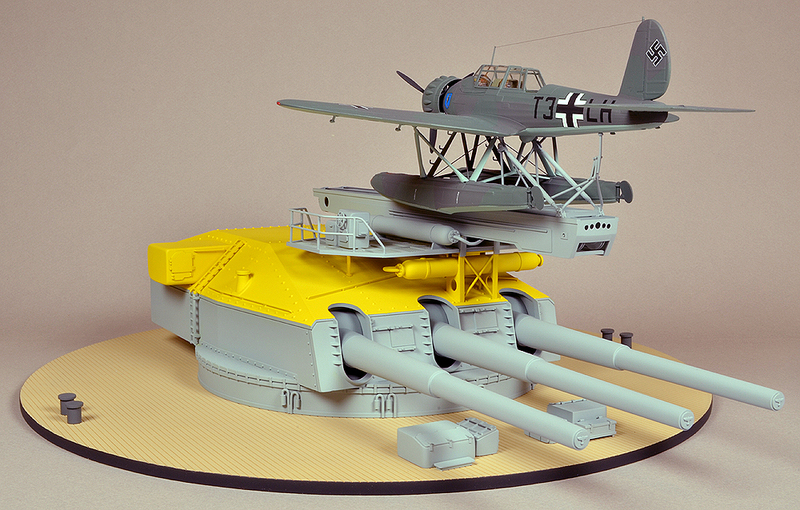 Modelcollect kit of the 280mm turret from the WWII DKM Gneisenau with scratchbuilt ship's deck and aircraft catapult and Sword Arado Ar 196 seaplane. Photographed, Photo-Shopped and posted images of a Tamiya Mosquito FB.IV to the "PROPS-3" tab. 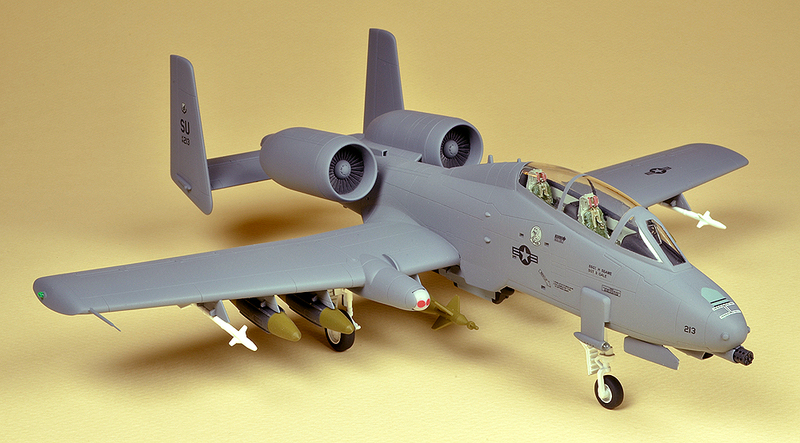 Photographed, Photo-Shopped and posted images of a Hobbyboss N/AW A-10A Thunderbolt II to the "JETS-2" tab. 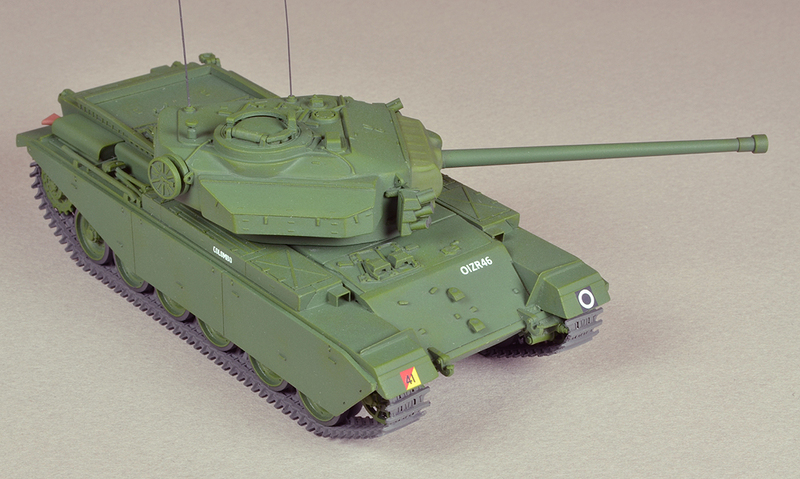 Photographed, Photo-Shopped and posted images of an ACE Centurion Mk 3 to the "AFVs-2" tab. 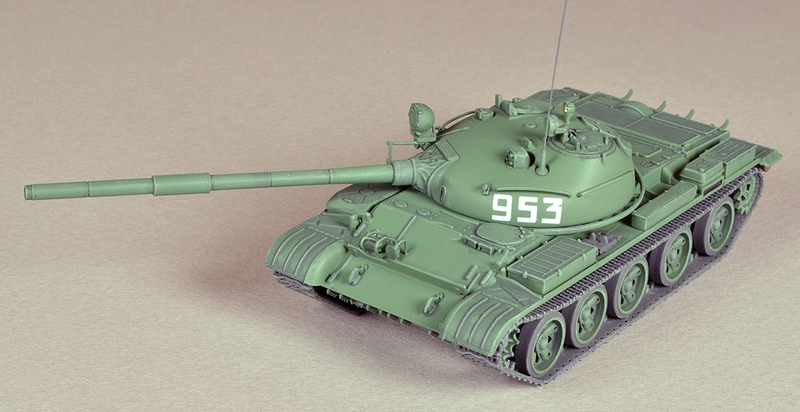 Photographed, Photo-Shopped and posted images of a Trumpeter T-62 to the "AFVs-2" tab. Photographed, Photo-Shopped and posted images of a Revell of Germany/Hasegawa Hawker Hurricane II D to the "PROPS-2" page of the AIRCRAFT tab. 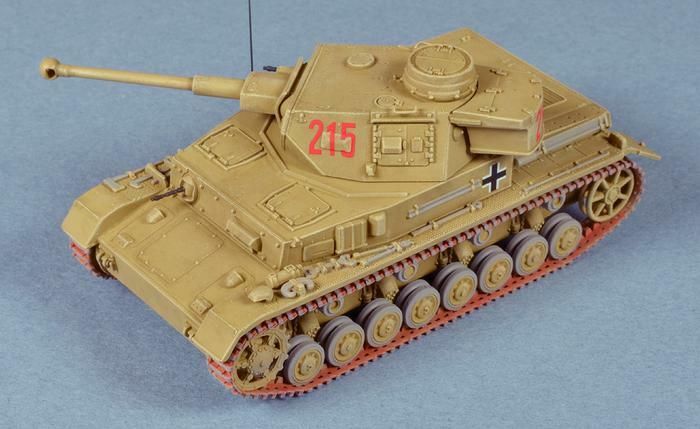 Photographed, Photo-Shopped and posted images of a Revell of Germany PzKpfw VI Ausf. E Tiger I to the "AFVs" page of the ARMOR tab. 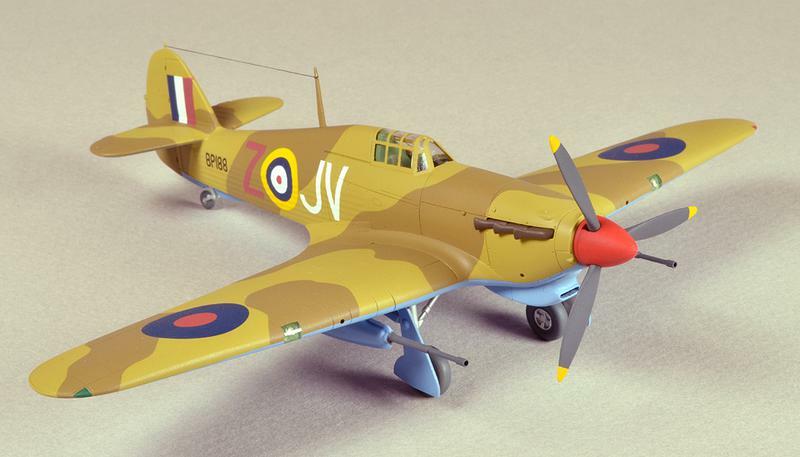 Photographed, Photo-Shopped and posted images of a Tamiya Mosquito FB Mk.IV to the "PROPS WWII" page of the AIRCRAFT tab. 04/02/2018 Added a new tab "List Of Models"
This tab is an index of hyperlinks to the models on this site, to enable easy searching by model name. 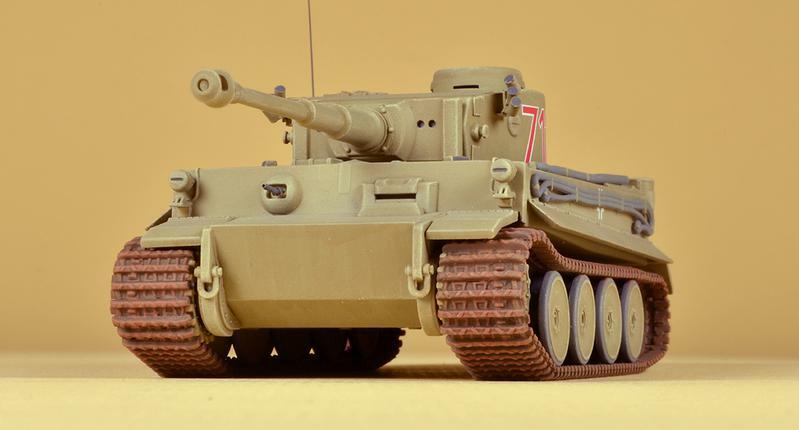 Photographed, Photo-Shopped and posted images of a Dragon/Trumpeter kitbash of a PzKpfw IV Ausf. F2 to the "AFV" page of the ARMOR tab. 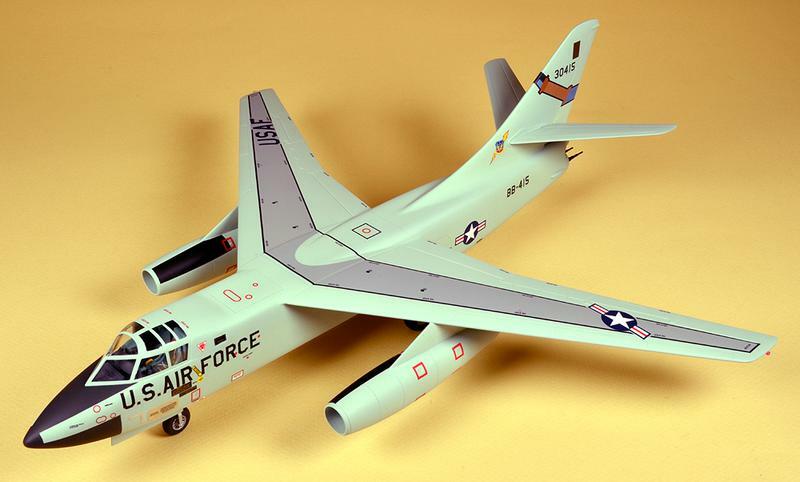 Photographed, Photo-Shopped and posted images of an Italeri WB-66D to the "JETS" page of the AIRCRAFT tab. Photographed, Photo-Shopped and posted images of a Riich M109A2 tank to the "AFV" page of the ARMOR tab. Photographed, Photo-Shopped and posted images of a Flyhawk M1A2 SEP tank to the "AFV" page of the ARMOR tab. Photographed, Photo-Shopped and posted images of a mostly Aurora AH-56A Cheyenne helicopter to the "HELICOPTERS" page of the AIRCRAFT tab. 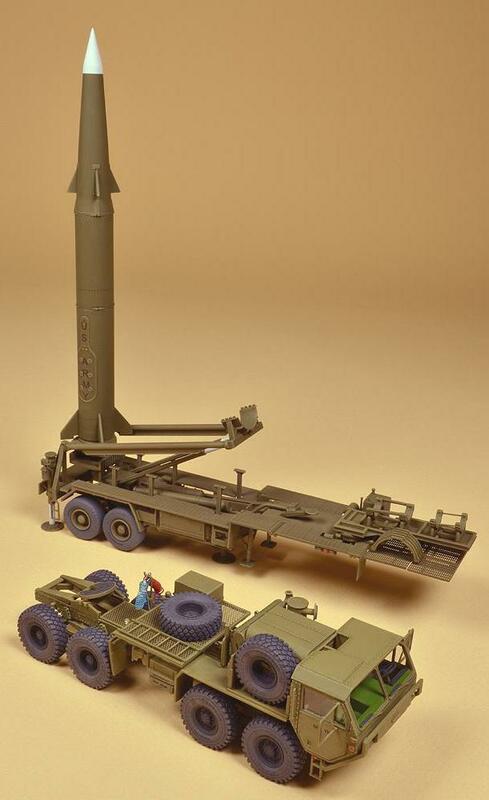 Photographed, Photo-Shopped and posted images of a Modelcollect Pershing II missile system to the "MISSILES" tab. Photographed, Photo-Shopped and posted images of a kit bash of a NEWA SC 125 missile system to the "MISSILES" tab. Photographed, Photo-Shopped and posted images of a Trumpeter LCAC (Landing Craft Air Cushion) to the SEACRAFT tab. Photographed, Photo-Shopped and posted images of a Dragon Jagdpanther tank destroyer to the "AFV" page of the ARMOR tab. Photographed, Photo-Shopped and posted images of a Trumpeter/Revell/Tiger Model kitbash of an M1A2 tank to the "AFV" page of the ARMOR tab. 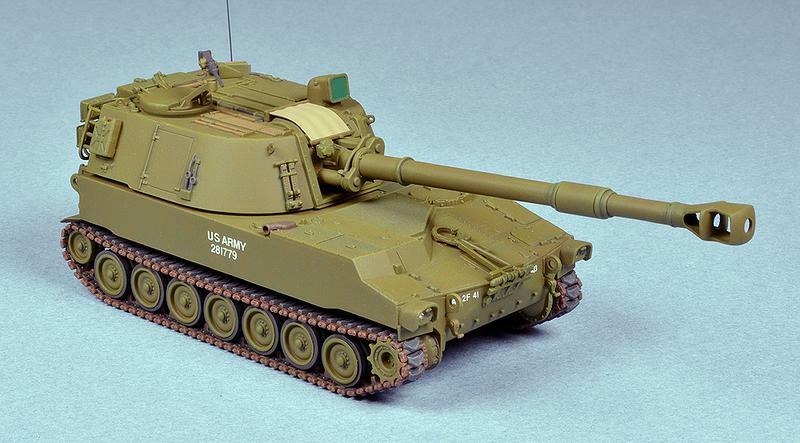 Photographed, Photo-Shopped and posted images of a ESCI/Trumpeter/Revell kitbash of an M1 tank to the "AFV" page. 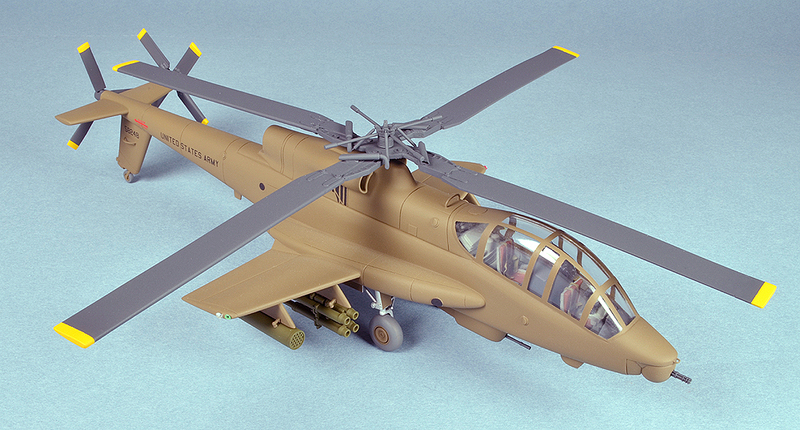 04/30/2016: Revised an AFV and added an article to "Building AFVs"
Photographed, Photo-Shopped and posted images of modifying the turret of a Trumpeter/Revell M1A1 kitbash to the "Building AFVs" page. Photographed, Photo-Shopped and posted images of a Trumpeter/Revell kitbash of an M1A1 tank to the "AFV" page. Photographed, Photo-Shopped and posted images of a Dragon/Revell kitbash of an M103A1 tank to the "AFV" page. Photographed, Photo-Shopped and posted images of an ESCI/Italeri M48A3 tank to the "AFV" page. Photographed, Photo-Shopped and posted images of an Italeri ISU 152 tank to the "AFV" page. Photographed, Photo-Shopped and posted images of a Pegasus M46 Patton tank to the "AFV" page. Photographed, Photo-Shopped and posted images of modifying AFV wheels and building AFV alignment jigs. 10/25/2014: Started a new page called "Charger"
Photographed, Photo-Shopped and added an Airfix Blohm und Voss BV-141B to "Props WWII"
Photographed, Photo-Shopped and added an S-Models M551 Sheridan to "AFVs"
Photographed, Photo-Shopped and added a Special Hobby Westland Whirlwind F.Mk.I to "PROPS-WWII"
Photographed, Photo-Shopped and added a Trumpeter RA-5C Vigilante to "JETS"
Photographed, Photo-Shopped and added a Revell of Germany Panther Ausf.A tank to "ARMOR-AFVs"
Photographed, Photo-Shopped and added a Trumpeter IS-III Stalin tank, an ESCI M4A3 Sherman tank and a scratch-built Krupp Protz Kfz.69 Personnel Carrier to "ARMOR-AFVs"
Photographed, Photo-Shopped and added a Matchbox Supermarine Walrus Mk.I to "PROPS-WWII"
Photographed, Photo-Shopped and added the kitbash of a FROG/Matchbox Fairey Swordfish World War Two torpedo bomber to "PROPS - WWII"
Finally edited and uploaded the images for the Bronco gallery in "PROPS - WWII"
Finished building the 1/72 Hasegawa Mitsubishi J2M3 Raiden (Thunderbolt) JACK on 10/28/12. Finished the "Build Jack" web page on 10/31/12. I got my CPU back on 09/06/12, and was able to reinstall Adobe PhotoShop 6.0. This let me download and edit the digital images in my Nikon, so I could post the backlog of stored images on to the website. (Posted 09/04/12) My computer has succumbed to extra-sneaky malware/viruses, so I've had to hand the CPU over to my expert computer fixer. Don't know when I'll get it back, so until then, no ability to download, edit, and post new images to the site. I'll continue to work on the Hasegawa Mitsubishi JACK, taking photos as I go, but leaving them on the Nikon D5100, until I'm computrified again. (Posted 09/04/12) The PROP PLANES sub page of the AIRCRAFT tab was becoming unwieldy, taking too long to download, so I added a new sub-page called PROPS-WWII. This new page will contain propeller-driven aircraft from 1918 to the present time. As I experienced when I subdivided the AFVs page, upon creating the new PROPS-WWII page, from a copy of the PROP PLANES page, I promptly lost all of the galleries for all the subjects. Of course, I didn't need any of the WWI subjects on the post PROPS-WWII page, anyway. When I get my repaired CPU back, I'll restore the missing post-WWI aircraft galleries.